Ocean Robbins’ life could have been very different. His father, John, grew up with an ice cream cone-shaped swimming pool and 31 flavors of dairy ice cream in the freezer. This is due to the fact that his father – Robbins’ grandfather – founded the American ice cream chain Baskin-Robbins. 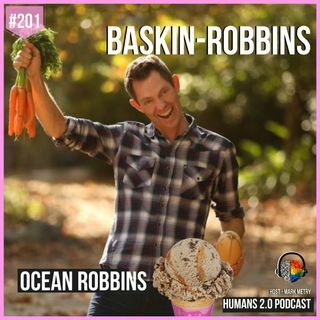 John was offered the opportunity to help run Baskin-Robbins when he was in his early 20s. He said no, and changed the trajectory of his own family’s lives. “My dad said, ‘hey I don’t want to spend my life selling a product that’s going to contribute to more people getting sick and dying,'” Robbins retold. “He walked away from a path that was practically paved with gold – and ice cream – to follow his own ‘rocky road,'” Robbins said. 31-DAY FOOD REVOLUTION is your guide to liberation from a toxic food world. Author Ocean Robbins reveals the secrets the industrialized food industry doesn't want you to know, how specific ingredients and methods could be making you sick-and what to do about it. And he shows you how-in just 31 days-you can use the amazing power of delicious food to heal your gut, lose excess weight, and lower your risk for disease, all while contributing to a healthier planet. Transform: YOU can be part of the solution. It's a lot easier to change the world than you imagine! You'll discover amazing secrets, such as how to stop food cravings, why nuts are one of the best snack foods, time-saving habits, and how to catch dangerous ingredients hiding in food labels.